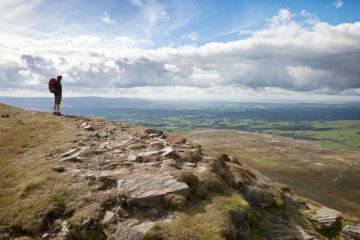 In the wild spaces of the British Isles, conditions are incredibly varied. 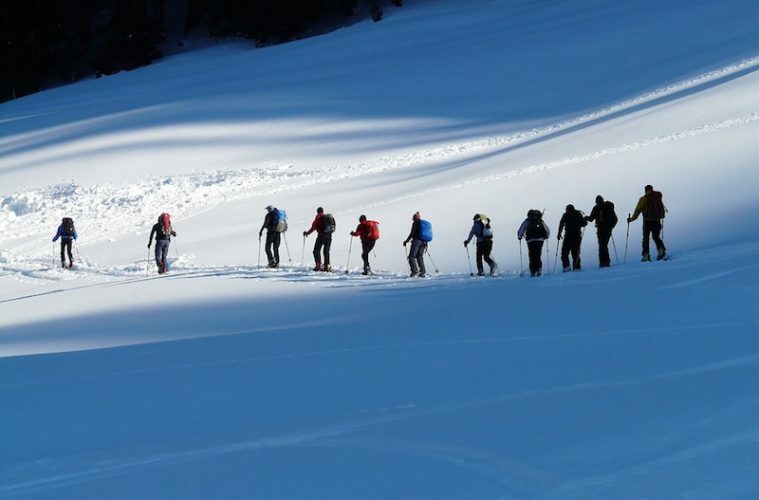 But with winter settling in they become even more challenging, with snow, strong winds and bone chilling temperatures, so it’s important to invest in the right kit. 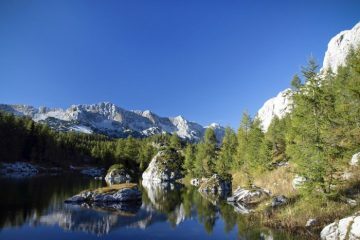 There are many winter base layers out there, but choosing a decent one is a good starting place, as it will eliminate the need to pile on excessive layers as you would if you were still using your summer base layer. They come in all shapes and sizes, are made up of different materials and sit in all price brackets, so there is something that suits every budget. But what exactly are you looking for? Well, it’s got to keep you warm. 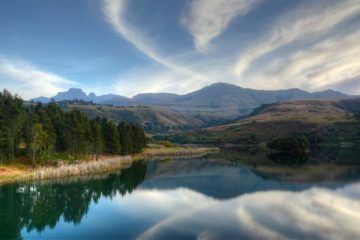 Merino wool is traditionally known to offer the best warmth to weight ratio, but it doesn’t work quite as well at wicking sweat as synthetics. The latter are also known to be more durable. In recent years, products have been using a blend of both materials, and we’ve found that works well. Quechua’s entry into this test is the Techwool 190 Zipped Trekking Shirt, and I was impressed to see it retailing at £29.99 considering it’s made 100% of merino wool. It’s a comfortable garment to wear and the material is very soft against the skin. Although the weight of the merino is 190g, it does feel slightly thinner than the other merino base layers on test. It provides a reasonable amount of warmth, but I found some of the others in for review were better suited to really cold days. One thing that did bother me was the length of the garment. It was slightly on the short side. This was especially so where the cuffs were concerned, and my wrists were regularly on show. 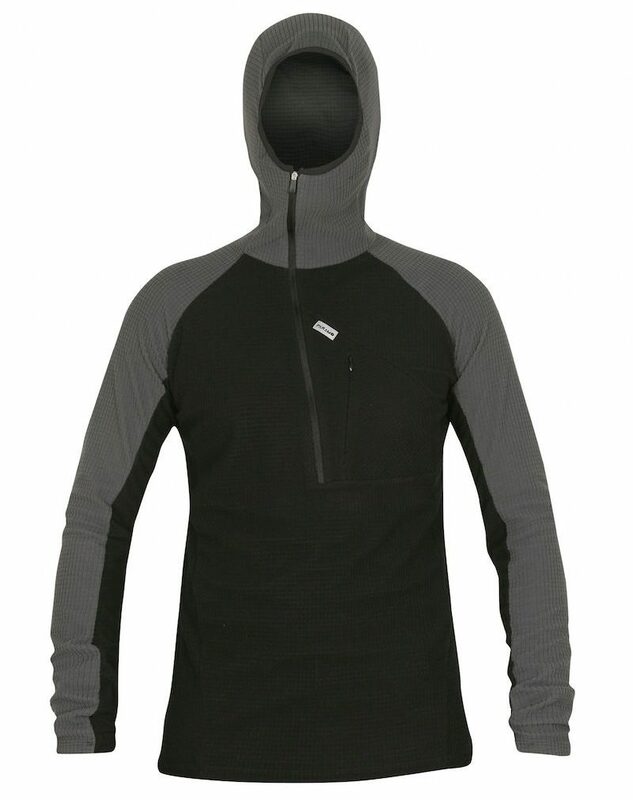 Similarly to the Odlo base layer we have on test, the Factor 1 Plus Seamless from SubZero fits very close to the body. It’s not quite as tight as that one, and it actually feels very comfortable against the skin. It’s made of a super soft 100% polyamide fabric and the body is completely seamless. Stretch rib zones provide a greater range of movement and ‘waffle’ grid zones help improve the garment’s thermal efficiency. This is a warm base layer, and at times I found it slightly too hot without the ability to vent with a zip. The cut of the garment is nice and long, and there are thumb loops on the cuffs. A great option if you don’t mind the fit and don’t tend to run hot. 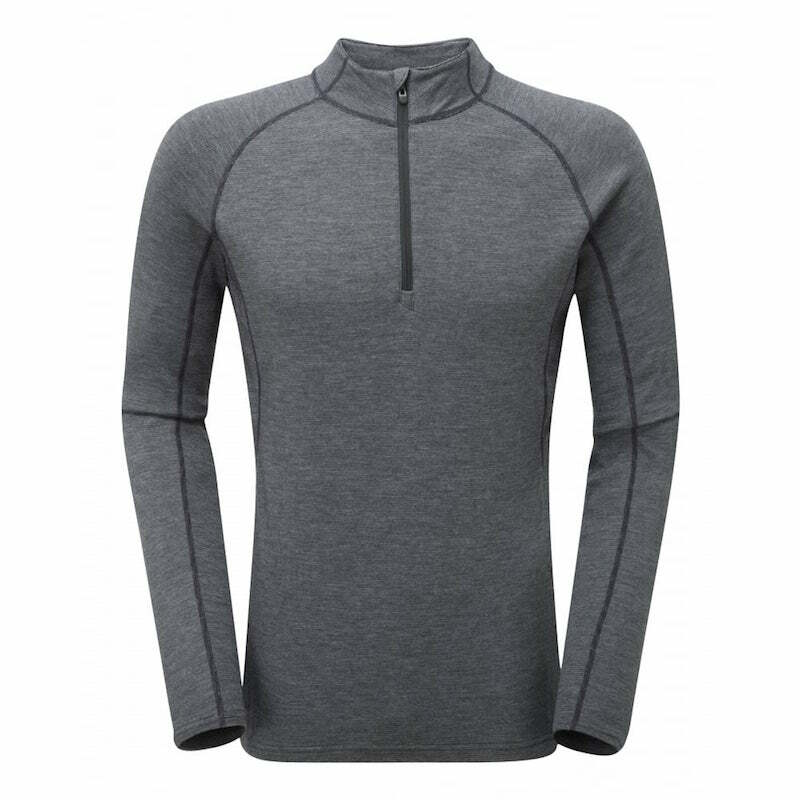 In the middle of the price bracket we have the Sprayway Roola 1/2 Zip Base Layer, and I’d say it’s probably one of my favourites on test. It’s comfortable to wear, fits well and offers a good level of warmth. It’s a nice balance of not being too hot that you can’t wear it in autumn, to not being too cold that you can’t wear it on its own while working hard. 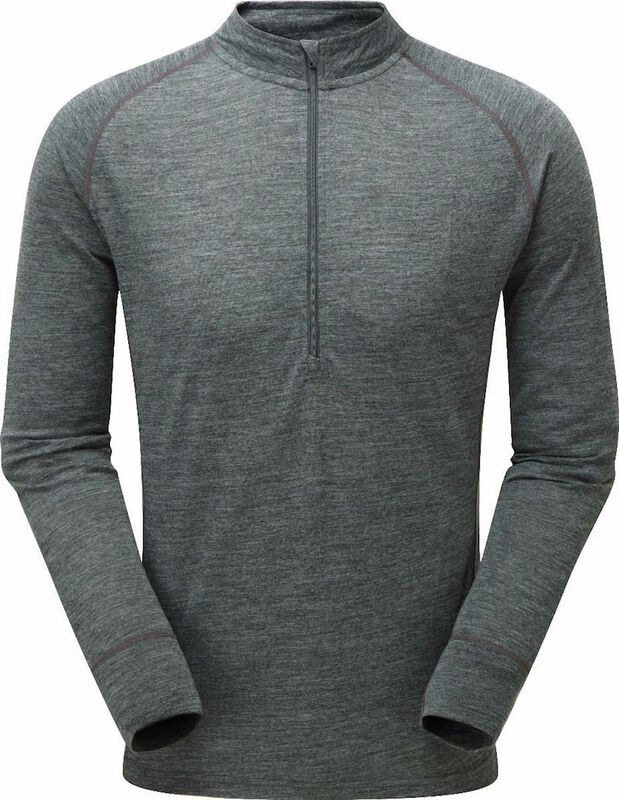 A blend of merino wool and polyester ensures the best of both worlds, with moisture management better than pure merino base layers and a decent level of durability. 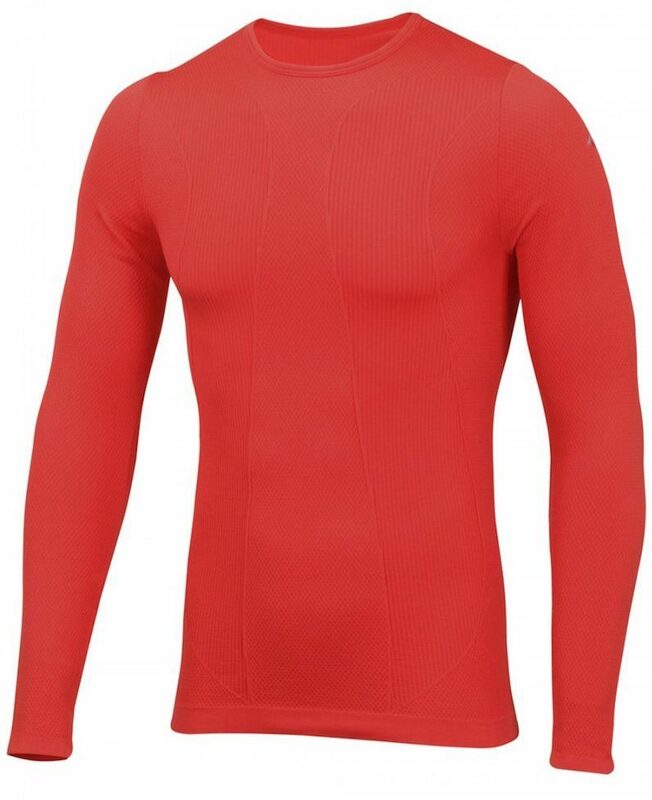 At £50, it’s competitively priced and does as good a job as most in this test – there are just a few of the more expensive base layers that are warmer. 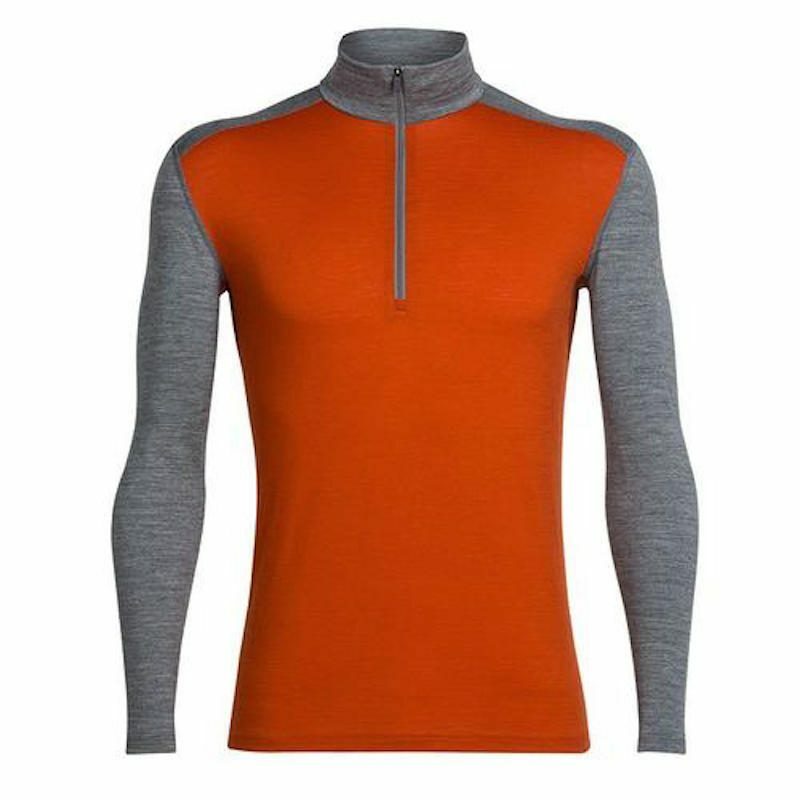 From Cumbrian brand EDZ we have the Merino Wool Zip Neck Top on test. It’s not the most comfortable straight away, but after wearing it for a short while we had no issues at all and the day passed in comfort. The performance of the 200g merino is as you might expect, with a good level of warmth on offer. I didn’t find myself overheating too much in this one, and the moisture management was on par with the other pure merino tops. I liked the inclusion of thumb loops, but found the cut just a touch too short on the body and sleeves. All in all, a great base layer and exactly what you’d expect from merino wool. 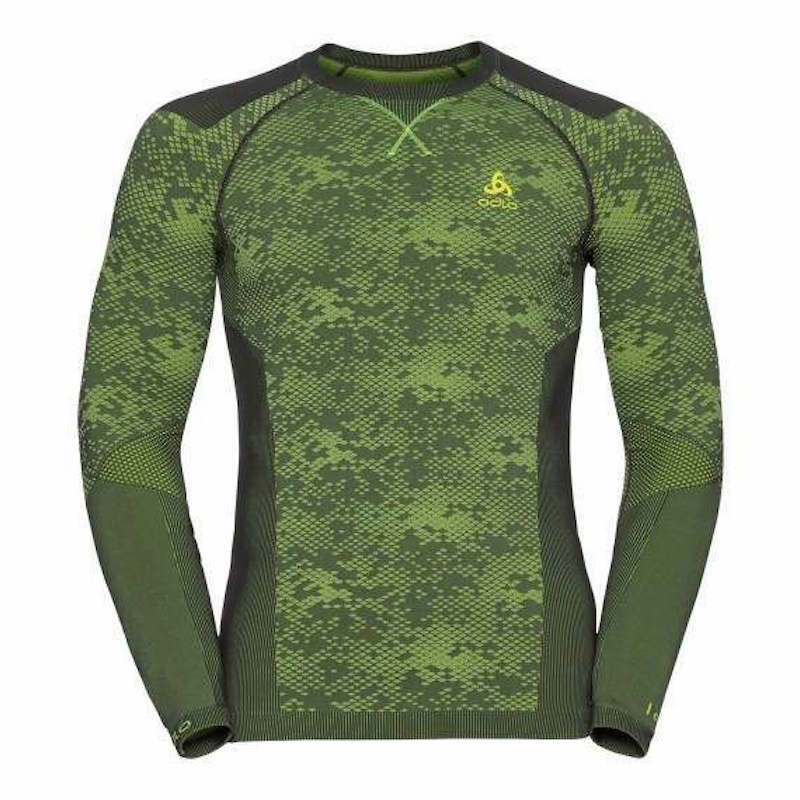 The Blackcomb Evolution Warm Baselayer Shirt is a bit of an odd one from Odlo. Mainly because the fit is so tight. Sure, base layers are meant to be worn close to the skin, but this just seemed a bit excessive! It’s uncomfortable at first, but you do get used to it, and actually, the fabric is lovely to the touch. It’s warm too, though we found it a bit hot on milder days. Different zones are strategically placed for moisture management and ventilation, but we found it got quite damp with sweat in testing. In colder conditions this shouldn’t be as much of an issue (we were testing on a mild winter’s day). 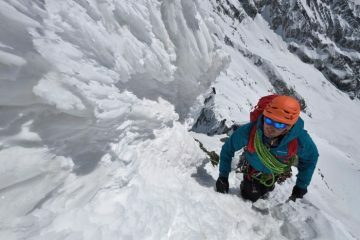 Icebreaker has long been considered a market leader when it comes to base layers, but is that still the case here? Well, it’s one of the most comfortable garments on test here and it offered a brilliant warmth to weight ratio. 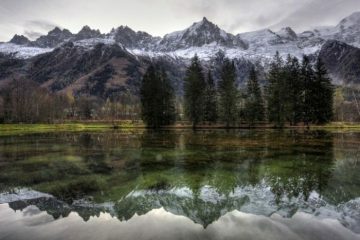 In fact, at times I got too hot, so I’d say unless you feel the cold, keep this one back for days when the mercury has really dropped. It’s constructed of merino wool, so odour control was top notch, while the cut was nice and long too. I found that its moisture management wasn’t quite as good as a couple of the other base layers, but that’s almost to be expected with merino wool. I wasn’t keen on the looks of the Grid Technic Hoodie at first, but over time I grew to like it. It uses Nikwax Parameta G fabric, which is said to keep you warm and cool depending on the situation. 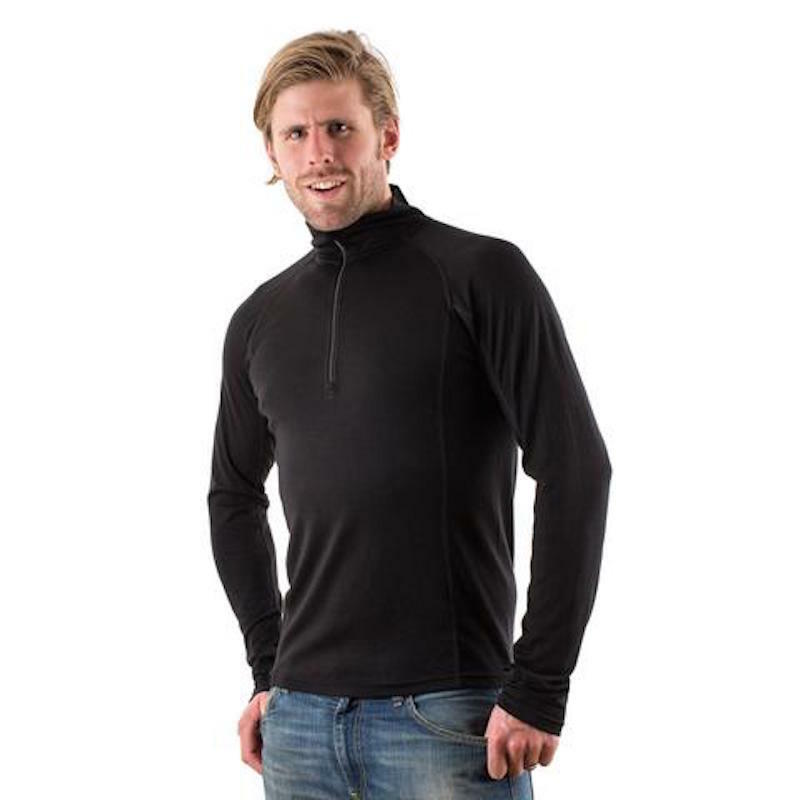 I definitely found it very hot when used with a mid layer, but on it’s own it was just right, and the long zip helps regulate your temperature. When it’s really cold, the ‘ninja’ style hood helps provide extra warmth and the off-centre zip makes sure it’s still comfortable. The Grid Technic Hoodie stayed on top of moisture pretty well, too, and even when I was feeling quite hot the garment remained dry. 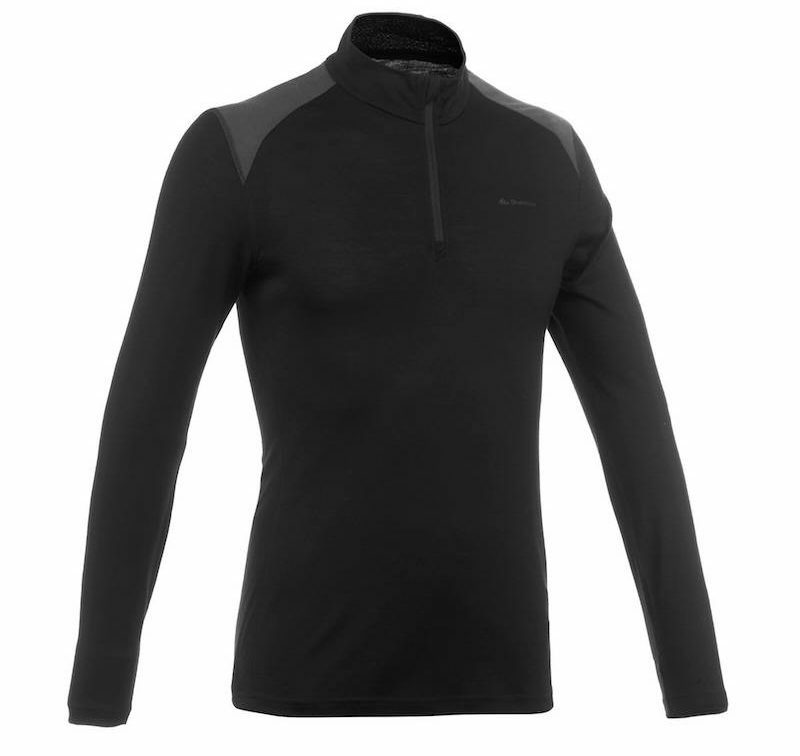 If you don’t mind the style and the price tag, it’s a brilliant winter base layer. 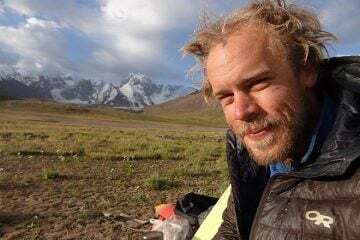 I’ve been dying to test out one of Montane’s Primino base layers for some time now, so I was thrilled to finally have the chance. The fabric consists of 50% merino wool, 25% PrimaLoft and 25% polyester. It’s supposed to reap the rewards of each material, and after using it for a while, I’d say it does a pretty good job of it. It kept me warm in the Scottish Highlands while the zip on the front did a grand job of preventing me from becoming too hot. It wicked moisture away impeccably, too. The only negative I found (apart from the price tag) was that the lower back started to bobble quite a bit after limited use, but this was also the case with a few of the others.